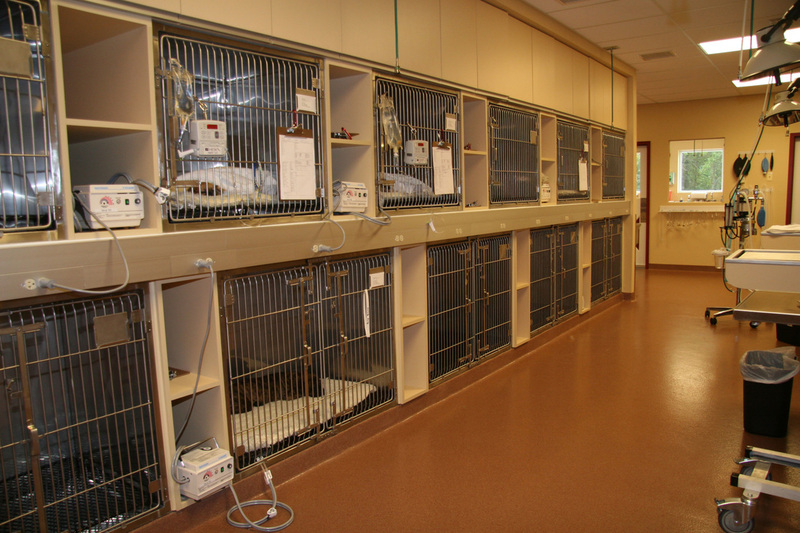 Sick animals which require hospitalization and monitoring are admitted to the ICU. IV fluids pumps, heating pads, and monitoring equipment are used to keep patients stable. Centrally located in the treatment area of the hospital, the ICU is where the most critical cases can receive the highest level of attention. Minute changes in a patient’s condition can be noted and treatment plans adjusted accordingly.